"It is as impossible to imagine a genuine democracy without the science of persuasion as it is to think of a totalitarian state without coercion." Fortune Magazine, May 1949, p. 69. Reference: Thomas Cochran and William Miller, The Age of Enterprise, New York, Macmillan, 1942, p. 311. Rhetoric and deception have long been part of the arsenal available for people to persuade others of their own good qualities or the merits of something they would like to sell. However, the profession and industry of public relations originated in the US in the early 20th century when corporations sought to defend themselves in the face of public hostility and worker unrest. Until this time American business had taken a relatively contemptuous attitude towards public opinion. 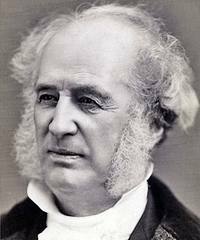 Typical of the period was the infamous pronouncement attributed to railroad magnate Cornelius Vanderbilt (pictured) that ‘the public be damned’. Similarly, in 1901 when banker J.P. Morgan told a reporter that he owed ‘the public nothing’ he demonstrated a commonly held business attitude. Reference: Walter Lippman, Essays in the Public Philosophy, Boston, Little Brown, 1955, pp. 39-40. However the growth of democracy and the expansion of the voting franchise threatened business power. In the US, between 1880 and 1920, the voting franchise was extended from about 15% of the adult population to around 50%. The defence of propertied interests had been easier when the vote was largely restricted to property owners. With the emergence of a political system in which power depended on the consent of non-propertied interests as well, the maintenance of this power became more problematic. Reference: Louis Galambos, The Public Image of Big Business in America, 1880-1940, Baltimore, The John Hopkins University Press, 1975, p. 159; Roland Marchand, Creating the Corporate Soul: The Rise of Public Relations and Corporate Imagery in American Big Business, Berkeley, University of California Press, 1998, p. 8. In the period when the voting franchise was being extended, the size and economic power of American business corporations increased both rapidly and very visibly. Financial and industrial capital became increasingly centralised and concentrated. Many in the community were concerned that the large corporations were cold, anonymous, impersonal, heartless and without soul or conscience. The corporation seemed to be ‘driven by a cold economic logic that defined its every decision as a money equation’. Reference: L. L. L. Golden, Only by Public Consent, New York, Hawthorn Books, 1968, p. 30; Alfred D. Chandler and Richard S. Tedlow, The Coming of Managerial Capitalism: A Casebook History of American Economic Institutions, Homewood, Illinois, Richard D. Irwin, 1985, p. 553; Alex Carey, Taking the Risk out of Democracy, ed. Andrew Lohrey, Sydney, UNSW Press, 1995, p80; Roland Marchand, Creating the Corporate Soul: The Rise of Public Relations and Corporate Imagery in American Big Business, Berkeley, University of California Press, 1998, p. 7. By the early decades of the 20th century, a period sometimes referred to as the ‘progressive era’ or the ‘muckraking era’, public opposition to corporate economic power was increasing. So-called muckraking journalists effectively exposed the corruption, exploitation and inhuman working conditions by which the majority of the great corporations had prospered. Magazines such as McClures, Everybodys, Cosmopolitan, Colliers and The American carried exposes of big business activities. Authors such as Upton Sinclair, Ida Tarbells, Tom Lawson, Gustavus Myers and others revealed the realities of the power of these corporations. Reference: Editorial, ‘Business Is Still in Trouble’, Fortune, May, 1949, p. 198. The respect once commanded by those who owned and headed these corporations was progressively eroded as the ruthless exploitation involved in building up their empires was disclosed. Public opposition was so great that as Fortune Magazine later observed of this period, ‘business did not discover...until its reputation was all but destroyed...that in a democracy nothing is more important than public opinion’. Reference: Roland Marchand, Creating the Corporate Soul: The Rise of Public Relations and Corporate Imagery in American Big Business, Berkeley, University of California Press, 1998, p. 41; George Bittlingmayer, ‘Antitrust and Business Activity: The First Quarter Century’, Business History Review, Autumn, 1996, pp. 364, 369; John Stauber and Sheldon Rampton, Toxic Sludge Is Good for You! Lies, Damn Lies and the Public Relations Industry, Monroe, Maine, Common Courage Press, 1995, p. 19. As the company mergers continued and the influence of these large conglomerates on government became evident, there was increasing public concern about the centralisation of so much power in so few hands and the degree to which competition was being curtailed by these mergers. The huge corporations posed a threat to democratic principles, which were based on the dispersal of power. Under President Theodore Roosevelt (1901-1909) the US federal government responded to this public concern with a suite of new legislation aimed at regulating corporations and breaking up some of the large trusts such as American Tobacco, DuPont and Standard Oil. This led to the adoption of defensive public relations strategies by American big business. Many corporations undertook some reform measures in recognition that the more extreme abuses of the system would have to be ameliorated in order to secure basic cooperation from an already alienated workforce and a resentful public. However, the strategy of adopting programs of social reform was limited because these corporations had no intention of actually restructuring power relations. Consequently, the technique of changing attitudes rather than changing business practices began to gain increasing currency amongst corporate leaders in the US. Corporate public relations gave the corporation the appearance of a soul and a mission: to provide a service to the community. Corporations such as Ford Motor Company, General Electric, Standard Oil and Goodyear Rubber emphasised their goals as service rather than profit, and their owners and chief executives portrayed themselves as public benefactors and statesmen. 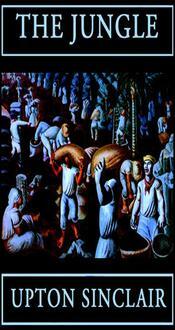 By the mid-1920s all the major corporations, the banks and the railroads, employed "publicity agents". What is more public relations were employed against striking workers to turn public opinion against them at the same time as they were being subjected to "intimidation, harassement and violence... As a result, trade union power was decisively defeated during the 1920s" in the US. Many of the early PR professionals who advised these leaders honed their public relations skills whilst serving on the US war time Committee for Public Relations formed in 1917 to sell war bonds and promote support for the ‘war to end all wars’. Propaganda was used by nations on both sides during this war. It was the first use of mass propaganda outside of religion. (The term ‘propaganda’ comes from the Catholic Church’s Congregatio de Propaganda Fide of the seventeenth century, meaning the ‘congregation for propagating the faith.’) During the war propaganda was used for the first time ‘as a systematic weapon of war’. Reference: Alex Carey, Taking the Risk out of Democracy, ed. Andrew Lohrey, Sydney, UNSW Press, 1995, p. 22.
Business was not slow to learn from this demonstration of how public opinion could be shaped and harnessed and they hired the very men who had achieved it to defend their public reputations and fight the unions. These men included Ivy Lee and Edward Bernays, each of whom has been cited as the father of modern public relations. Source: 'How Edward Bernays hacked democracy', Truthloader, 22 october 2013. Reference: Alex Carey, Taking the Risk out of Democracy, ed. Andrew Lohrey, Sydney, UNSW Press, 1995, p. 81; Jeff Blyskal and Marie Blyskal, PR: How the Public Relations Industry Writes the News, New York, William Morrow and Co., 1985, p. 68. Bernays was the first to write books on public relations and apply theory to the practice of public relations, seeking to utilise psychology, sociology and other social sciences to manipulate the desires and beliefs of members of the public in public in ways that go far beyond mere publicity and advertising. Reference: Alex Carey, Taking the Risk Out of Democracy, ed. Andrew Lohrey (Sydney: UNSW Press, 1995), p. 81; Jeff Blyskal and Marie Blyskal, PR: How the Public Relations Industry Writes the News (New York: William Morrow and Co., 1985), p. 68. 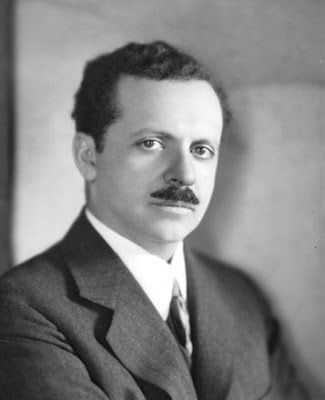 Bernays (pictured) had worked for the wartime propaganda commission in the US and wrote up his ideas in articles with titles like Manipulating Public Opinion and The Engineering of Consent which described the “application of scientific principles and tried practices in the task of getting people to support ideas and programs”. Reference: Noam Chomsky, Necessary Illusions: Thought Control in Democratic Societies (London: Pluto Press, 1989), p. 16; Alex Carey, Taking the Risk Out of Democracy, ed. Andrew Lohrey (Sydney: UNSW Press, 1995), p. 22. Reference: Don Bates, ‘‘Mini-Me’ History: Public Relations from the Dawn of Civilization’, Institute for Public Relations 2002, p. 11. One of his most famous PR strategies was the 1929 Torches of Freedom March he organized on behalf of the American Tobacco Company. 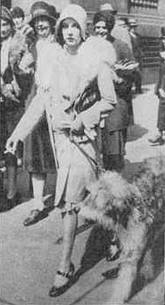 It involved women marching through New York streets smoking cigarettes, thus associating women’s rights and liberation with smoking without linking the march to his client. Reference: Johan Carlisle, ‘Public Relationships: Hill and Knowlton, Robert Gray, and the CIA’, CovertAction, no 44, 1993, p. 22; Bernays quoted in David Miller and William Dinan, A Century of Spin: How Public Relations Became the Cutting Edge of Corporate Power, Pluto Press, London, 2008, p. 32. Bernays was a key proponent of the idea ‘that changing the public’s opinion—using PR techniques—about troublesome social movements and labour unions, was far more effective than hiring goons to club people.’ He also pointed out that those who manipulated ‘the organised habits and opinions of the masses...constitute an invisible government which is the true ruling power of our country’. Reference: Alex Carey, Taking the Risk out of Democracy, ed. Andrew Lohrey, Sydney, UNSW Press, 1995, p. 79; Roland Marchand, Creating the Corporate Soul: The Rise of Public Relations and Corporate Imagery in American Big Business, Berkeley, University of California Press, 1998, p. 162; Strother Holland Walker and Paul Sklar, Business Finds Its Voice: Management's Effort to Sell the Business Idea to the Public, New York and London, Harper & Brothers, 1938, p. 2; Bernays quoted in Stuart Ewen, PR! A Social History of Spin, New York, Basic Books, 1996, p. 215. Despite a general improvement in public acceptance of large corporations, public relations expanded in the 1920s, as part of a ‘conscious policy of managing public attitudes to retain’ corporate power. By the end of the 1920s public opinion with respect to large corporations had been turned around: ‘most middle-class Americans had come to accept the giant corporation as a permanent feature of society’ if not a benevolent institution serving the public welfare. They voted for pro-business presidents like Harding, Coolidge and Hoover. Bernays claimed that it was ‘the deliberate use of propaganda’ that had turned the ‘mergers and trusts’ from ‘ogres’ to ‘friendly giants’ in the minds of the public. The prosperity of the twenties had also helped.